Wandering is a common behavior in persons with cognitive disorders such as dementia and Alzheimer's disease. Wandering is a resident's ability to walk freely within the institution of care. As an experienced Chicago nursing home neglect attorney, I understand that this behavior can put a nursing home resident at a great risk for injury. The ability of a person to orient themselves to their surroundings and to respond to environmental stimuli is important factors in their ability to protect themselves. Confused patients may not understand where they are or what to do to help themselves. When caring for a cognitive disorder patient this often is the major priority and concern for nursing home staff and caregivers. It has been reported that over fifty percent of patients with these conditions will wander at some point. 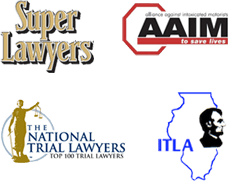 As a knowledgeable Illinois nursing home abuse lawyer, I realize that every year in the Unites States over 100,000 wandering related accidents are reported. Elopement refers to the ability of a resident who is unable to protect themselves from harm to leave the nursing home unsupervised and enter into harm's way. Elopement from a nursing home residence or assisted living facilities by any resident can be dangerous. It is extremely dangerous for those residents with cognitive disorders such as Alzheimer's disease and other dementias. Nursing homes need to assess the residents routinely and identify those that are at risk for wandering or for the potential to elope. This would involve a thorough intake assessment and nursing care plan. The plan should document a patient's prior history and the potential for this behavior. Care plans should be updated regularly as the patient's condition can change at any time. A successful Chicago nursing home neglect lawyer understands that wandering and elopement preventative measures should be implemented by the facility. When a residence fails to implement preventative measures, an elopement or injury occurs, they can be held liable. Nursing home residents who elope can face many dangers and potential for injury. If you or someone you love has sustained injuries or loss from an Illinois nursing home neglect injury, contact Nemeroff Law Offices today. Our experienced Chicago nursing home abuse and neglect lawyers are available to speak with you directly.